Roof waterproofing has become a crucial service for buildings because it prevents structural damages, protects the aesthetic appearance, and guarantees the safety of the inhabitants. The type and methods of roof waterproofing are numerous, and the selection depends on the needs of the structure. The construction industry has embraced diversity and has made many products and materials available for roof waterproofing. The criteria that we use for selecting a suitable roof membrane include cost, durability, UV resistance, heat resistance, and possible chemical exposure. The following are some of the roof waterproofing methods we offer. The polyurethane membranes are the most radical types of waterproofing in the construction industry. It has the ability to protect a roof from different destructive conditions for long. When compared to other roof coating methods, polyurethane provides the highest elasticity strengths that allow it to expand and contract depending on the climatic conditions. It has the ability to withstand extreme pressures and abrasions that are necessary for protecting your roofs from water leakages. A coating that resists expansion is not suitable for roof waterproofing because a roof is directly exposed to extreme heat from the sun. It is highly resistant to UV rays hence extends the lifespan of your roof. Polyurethane coating can last up to 25 years. Polyurethane provides a seamless seal that is watertight for solving major roof issues. The acrylic membrane is also a common method for installing membranes on roofs. Acrylic coatings are easy to install and the products used do not pose any danger to the environment. They are mostly used for clients who love a designed cool roof because of its ability to reflect light. Just like the polyurethane membrane, it is highly resistant to UV rays and can protect your roof painting from peeling off. This membrane can be installed on top pf your roof painting and will not alter the color of the painting. It is a flexible coating that can expand and contract without affecting the normal layer of paint on the roof. It is less expensive and still able to protect your roof from being destroyed by water and UV rays. 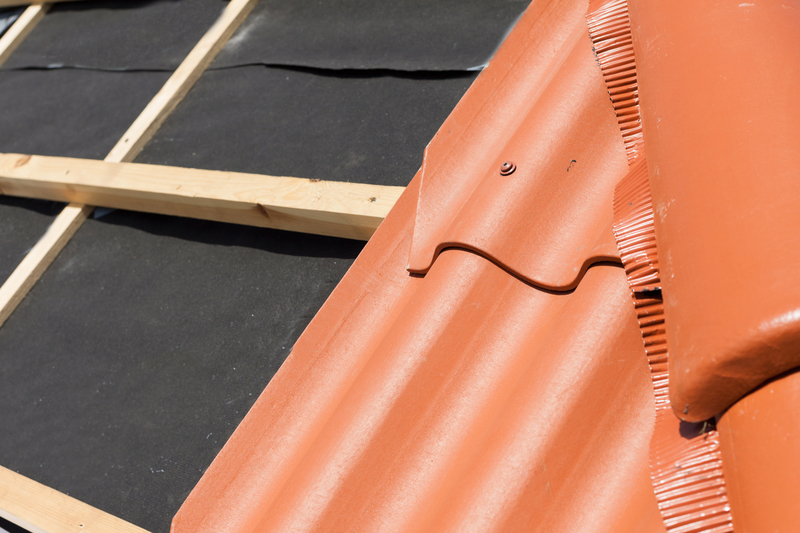 This is one of the oldest waterproofing methods for the roofs, but it still effective. Due to the advancement in the construction industry, engineers have been able to innovate new waterproofing membranes to improve efficiency in solving water issues. There are different types of bituminous sheets that are available in the market today. Sheets may differ in thickness, and we consider these factors when choosing the best membrane for your roof. Bituminous is not resistant to UV rays. They are used in conjunction with other products to add a layer that will fill in the weaknesses of bitumen. Bituminous membranes are environmentally friendly. The flames produced during the torching process is harmless to your health. This is one of the easiest methods of roof waterproofing. During its application, the waterproofing products are usually mixed with the cement and concrete. Cementitious membranes are limited because they are not able to expand once installed. Also, it is difficult to fix them after installation because it was mixed with the cement and concrete used in construction. The effectiveness of this membrane is temporary, and you will require an additional roof waterproofing membrane. Epoxy coating is a long-lasting barrier on a roof that is applied in the form of fluid. It provides you with an easy time to clean up your roof because of its resistant to detergent chemicals. It can be applied on a current roof and will save you future maintenance costs. It is flexible and durable. It can withstand extreme temperature conditions and rainwater. It improves the aesthetic view of your roof because it can reflect light. It is environmentally friendly and watertight. The coating is also permeable to allow escape of water vapor that has been trapped in the roof. It can be installed on an already occupied building since the installation process is simple and fast. It does not need drilling nor nailing, hence minimizes disruption level to an already occupied building. Waterproofing Singapore offers the best roof waterproofing membrane services. Contact us today for the most affordable roof repair quotation.